Turtle Beach Ear Force Stealth 450 Wireless 7.1 PC Gaming Headset | Nerd Much? 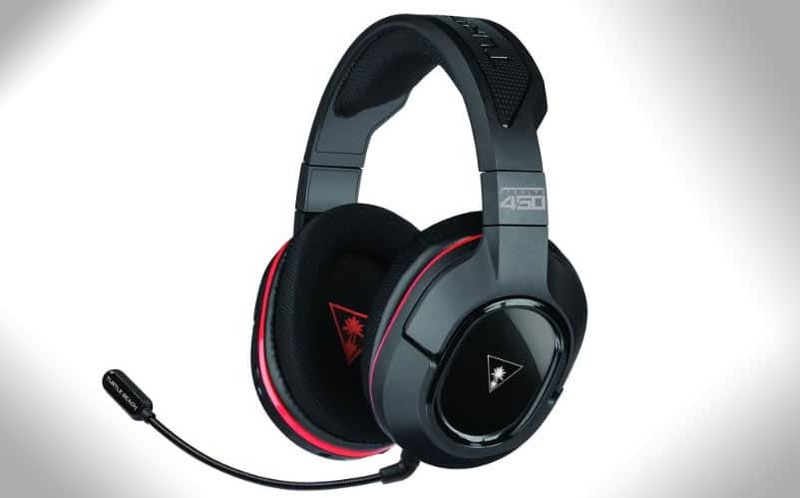 Turtle Beach has officially announced the newest addition to their Stealth line of gaming headsets, the Stealth 450, which is a PC gaming headset that offers 100% fully wireless connectivity. The Stealth 450 features DTS Headphone:X 7.1 Surround Sound, Superhuman Hearing, and has an incredibly simple setup: just plug the USB into your computer. You’re probably wondering what Superhuman Hearing is, right? Well, it basically means you’ll hear the faintest of enemy footsteps, weapon reloads off in the distance, and other little sound effects that wouldn’t be heard with a typical headset (it can be turned on and off via a switch on the headset). It also sports variable mic monitoring, allowing players to hear their own voices in the headset to avoid shouting. The wireless headset has a 15 hour rechargeable battery, so they’re built to last through your long gaming sessions. The headset won’t work on Xbox One (although the equivalent Ear Force 420X Xbox One headset will) or PS4, but if you’re a PC gamer, these are certainly going to catch your eye.